I am a shoe fiend, whore, or whatever you want to call it. If it has anything to do with shoes I am on top of it. The one shoe brand that I have recently fell in love with is JEFFREY CAMPBELL!!! Yes I know many of you have been on it but I really did not care for it at first but now I do! This brand has been an LA based brand for over 10 years now. There are many boutiques that sell his shoes that I know of! 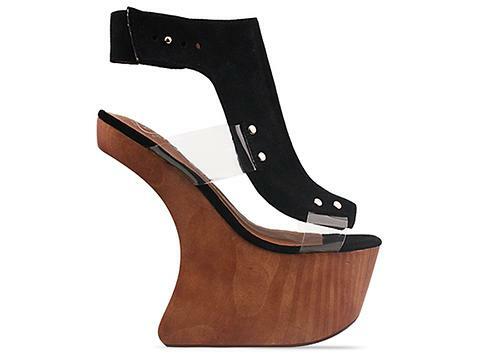 When I think of Jeffrey Campbell I think of platform, wedges, and height.. and boy do I love me some height in a good heel. And yes ladies if you did not know he invited the heelless wedge! His brand is edgy, bold, and to say the least eye catching! You are bound to get plenty of heads turn when you rock a pair of JC's.